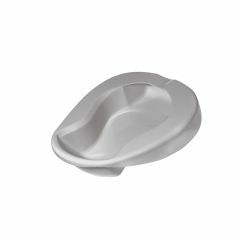 AllegroMedical.com presents The Contoured Bed Pan. The Contoured Bed Pan by Drive is an essential necessity for anyone who has difficulty getting out of bed. The contoured design provides comfort and comes with side grips for easy handling of the unit. The unit is lightweight, durable and easy to clean. The Contoured Bed Pan can hold 108 oz which converts to 3.2L.